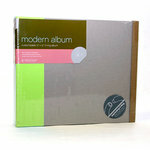 Look for the American Crafts Modern Album at Scrapbook.com. 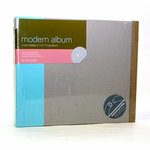 Customize each American Crafts Modern Album by adding ribbon, embellishments, paint, paper and more. The options are endless! It holds everything!!!!!! I was able to condense 3 post bound albums into this one album and I still have a lot more room to grow. It holds a lot with out feeling over sized or too big. The fact that I was able to free up quite a bit of space on my bookshelf is also a bonus. I love it!! It's perfect for the project I'm currently doing. The ONLY thing I would criticize is that a 12x12 sheet doesn't PERFECTLY cover the customizable part. It's just about 1/2 a cm off what it should be. But I still managed to find a way to fix that with layering. I definitely recommend! I love these albums. This is my 8th and they are just great. 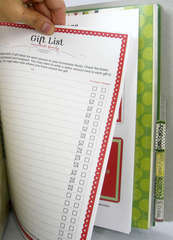 I like the 3-rings so that I can quickly move pages around and put a page in when I have it finished. I also like that I can decorate the outside to fit my needs. I love these albums! I just wish I had found them sooner... I have never used 3-ring albums before and now I can't image going back to strap hinge or post bound. 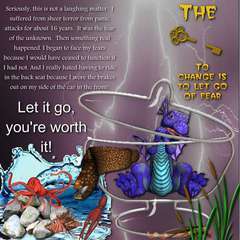 I also like that the cover is customizable...that's just cool! 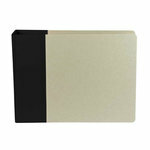 I now own 3 of the American Crafts Customizable 12x12 D-ring binders. 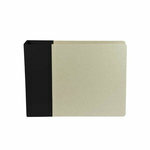 These binders are very well made, very sturdy, and very attractive. It is fun to customize the outside of the binders. The D-rings work very well, no overlapping or dragging. The binders hold a lot of pages and work really well at keeping completed pages safe in your crafting tote while traveling to and from crops. I am planning on purchasing more of these in the future. After 3 years of taking the Big Picture Classes Library of Memories and then 1 year of Finding Photo Freedom, I've finally started sharing my memories. With 9 grandchildren and a slew of friends and other family members, I have a lot of people 'we love' so I needed something sturdy, well made, and easy to identify. 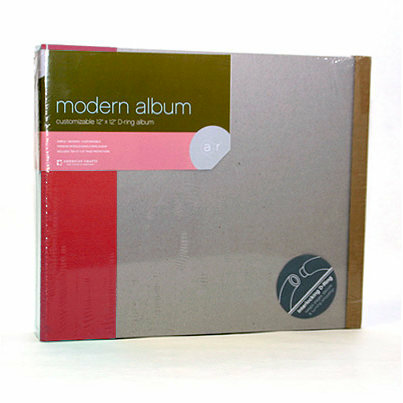 The American Crafdts - Modern Album fits the bill. I order three of these albums and had never seen them in real life. I was amazed at the quality. The chipboard is very thick and and the red linen on the side is bright and fun. The rings are very sturdy and are of good quality. I was able to comfortably fill the album with thirty layouts. I did not think I really would like a D ring, but after trying these, I love them. I like how American Crafts has their page protectors interchangeable so you can use all the different sizes in the same album. I like how the D ring also allows pages to truly lay FLAT! 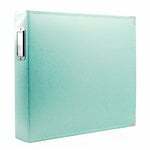 These binders are of great quality at a great price. 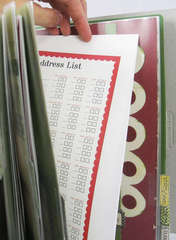 The plain chipboard covers can be dressed up with patterened paper if you wish, but they are also just fine left plain. I have about 20 of them at this time, and they have held up very well for many years. Approximately how many pages will this hold? By: Heck25 (18-Mar-18) Helpful Question? Yes | No Thank you! Report Inappropriate This question has been reported. Thank you! I recommend no more than 35 pages. By: hljones (25-May-18) Helpful Answer? Yes | No Thank you! Report Inappropriate This Answer has been reported. Thank you! How may rings are in the 12 X 12 album and the 8 1/2 X 11 album. By: suisunred (26-Feb-15) Helpful Question? Yes | No Thank you! Report Inappropriate This question has been reported. Thank you! 3 ring album. By: Amber Boren (27-Feb-15) Helpful Answer? Yes | No Thank you! Report Inappropriate This Answer has been reported. Thank you!